We're taking a look at what's going on with the upcoming Ice Storm event that should end up closing out Season 7 of the Fortnite Battle Pass! The Fortnite Ice Storm Challenge is now live, so we're putting together a guide that contains all of the information needed to complete this event! We are featuring a full Ice Storm Challenges List, as well as all of the rewards you'll be able to earn. We're also taking a look at the lore of the event, and just what the Ice Legion has in store for us! The Ice King has wreaked icy havoc on Fortnite's island! An orb had shown up above Polar Peak and eventually revealed that the King was in there charging up some kind of spell. When the event began, he grew very large and spectral and cast a winter spell that turned the map frosty and brought monsters back to the game! There is also now rolling fog going across the map that makes it hard to see at a distance. 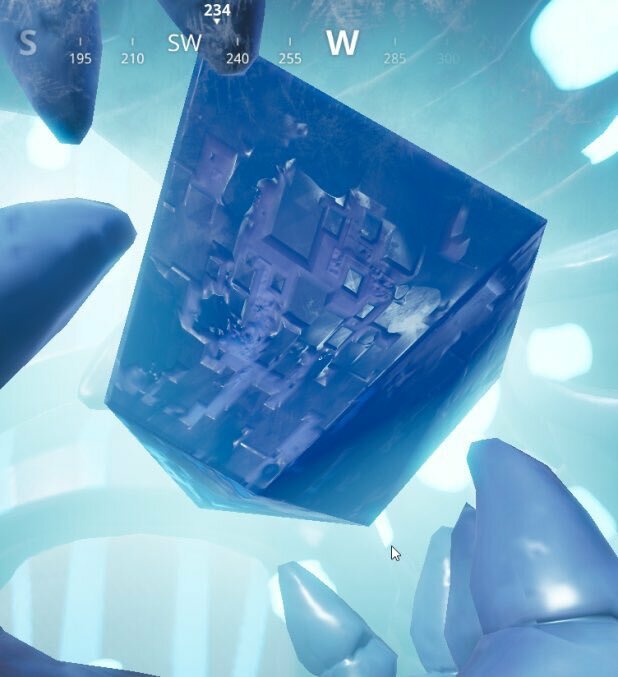 If you looked closely, it appears that The Ice King was potentially conjuring something with a piece of THE CUBE! 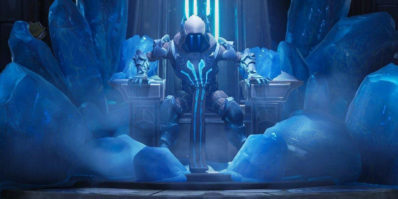 As you can see from the images, The Ice King arises from his throne kind of like The Lich King from World of Warcraft. 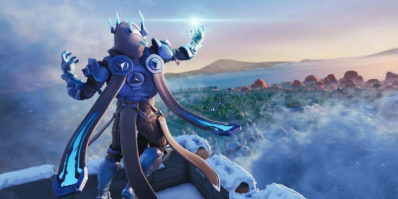 He then heads to the top of his castle at Polar Peak and starts to cast a spell that has shrouded the island in frost. This also reminds me of the White Walkers in Game of Thrones. This has brought monsters to the island, these are similar to the ones brought out during Fortnitemares. The Ice Storm Challenges Event released on January 19th, 2019 at 11:00am PST! We've got a full list of the challenges now, you'll need to complete six of them to unlock the Blue Metallic Wrap and go through all thirteen to unlock the Winter's Thorn Glider. The Ice Legion is the army of frost riddled monsters that The Ice King has spawned on the island. You will find crystals all over the map where these NPCs will spawn. You will need to destroy them and damage them in a variety of ways to complete the challenges. 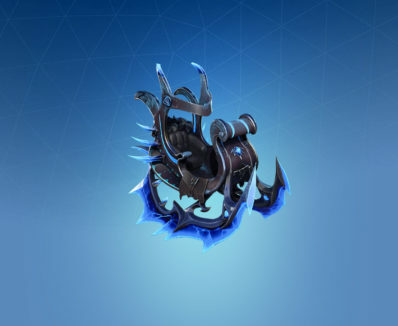 These are very similar to the ones that were spawned during Fortnitemares, but seem to be a bit weaker and potentially spawning on their own a bit less. To locate a crystal spawn, keep an eye out for what appears to be lightning shooting down from the sky at a specific location. Once you go here you'll find the crystal. You can start destroying the spawns, and then hitting the crystal to create even more spawns. When you eliminate the monsters they will sometimes drop ammo, weapons, and even shields. These can be good to kill if you are looking for shields. Ice Fiends and Ice Brutes? There are generally two types of monster that spawn. There's the smaller type that is known as the Ice Fiend. These have lower health and are pretty easy to dispatch. The large type is the Ice Brute and they have quite a bit more HP. Some of the challenges will likely require you to destroy each type specifically. In the leaked challenges, there's a couple of different variants. The Golden Ice Brutes are rare boss like spawns that have a ton of hp and deal more damage. They take a while to take down and drop quite a bit of loot when you kill them. As far as we know right now, you'll be able to earn two cosmetic rewards for sure. 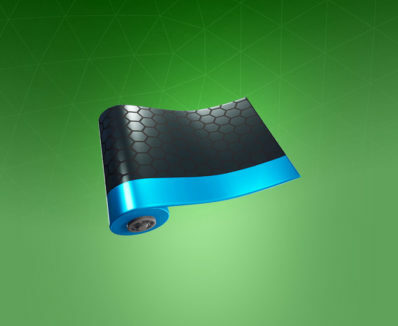 This is the Blue Metallic Wrap and the Winter's Thorn Glider. 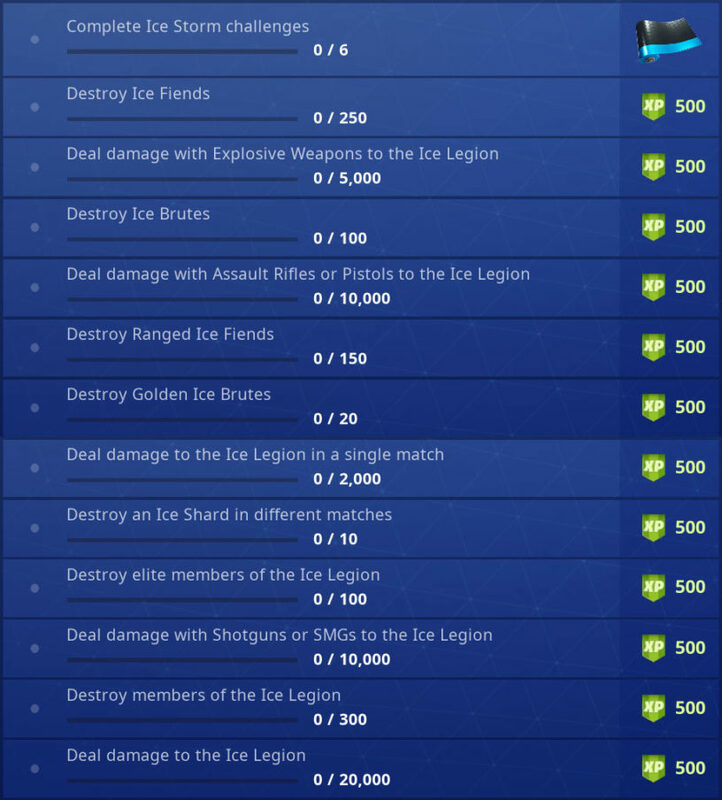 Hello, by any chance do you know the end date for the ice storm challenges? It looks like Monday will be the last day. I’m not sure if it’s 11:59pm Sunday kind of deal or not. When is the Ice King going to release? He’s already released, he’s part of the battle pass. There will only be an extension if there’s a bug like with the 14 days of Fortnite. No, I don’t work for Epic Games. It’s very unlikely that they will ever give away a skin. The Ice Queen is going to be shop item. Didn’t the map already get covered up in snow? Why are they showing that loading screen this late? You’re right it would be ranged. Ice Legion is likely just the army that is controlled by The Ice King. But what if you are the ice king skin?